Rob and his son Jack have been traveling Nepal and Tibet for 30 years, they know better than to start a 1000 mile motorcycle ride through the Himalayas from Kathmandu. The complete madness that occurs daily on these roads would be far to intimidating for most. We are bussed far outside city center to the Riverside Springs Resort in Kurintar for our trial runs. 90% of the traffic here is comprised of 250cc motorcycles and scooters. You really couldn’t get around any other way. I’ve motorcycled thousands of miles in China and Indonesia and complexly understand the rules of the road here. 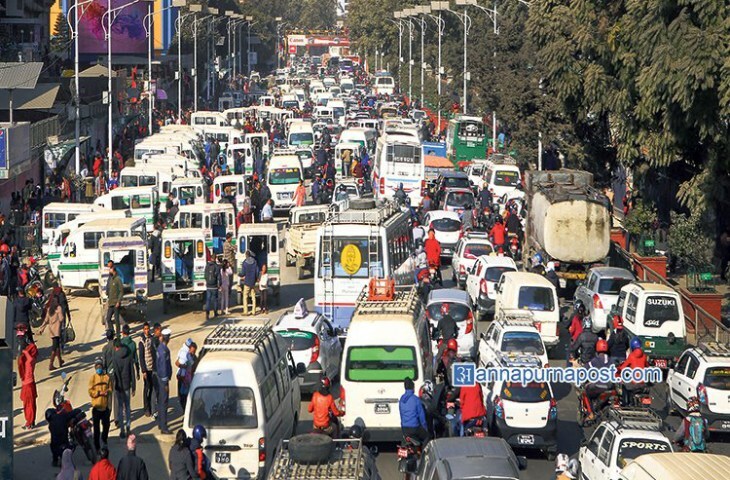 Americans are used to the Right of Way, In India and Nepal, its First Right: whoever is first has the right of way, which means everyone is vying for the same space at all times. The concept of using turn signals is completely counterproductive, that would give away your intentions. Seemingly disobeying any and all traffic laws whatsoever. They weave through opposing traffic ignoring all signals and signs, carting around families packed with goods…at night. All the endless honking is not in anger it’s actually a way of communicating their presence for your safety. You will see a calm focus on their faces under any circumstance and a skill level unmatched. Very impressive. 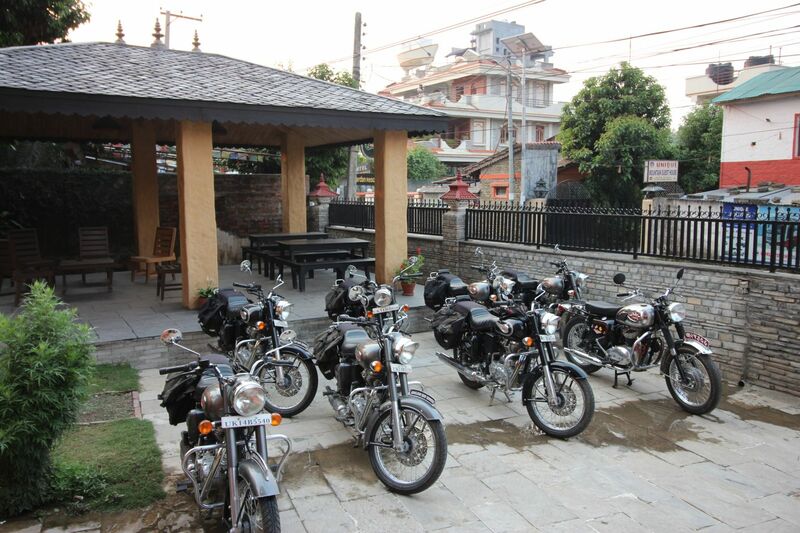 The Nepali police draw a hardline of drinking a riding. They set up sudden road blocks and check for drinkers. I am told that if they smell alcohol on your breath it’s a one way ticket to the slammer for the night. You’re out the next day with a “heavy fine” of 500 rupees, (that’s 5 bucks U.S.) and that includes impound charges for your bike. The police hole punches their driver’s license and if you get 5 punches, you lose your license…for a little while. I actually enjoy the game of human dodge ball and what seems like sheer madness becomes an orchestrated ballet of rhythm and motion. My breathing relaxes, pulse slows, and instead of fixating on random moving targets and anticipating every move, the entire surreal scene unfolds like a lotus blossom before me. It’s a beautiful, effortless ebb and flow of man, machine, and motion. 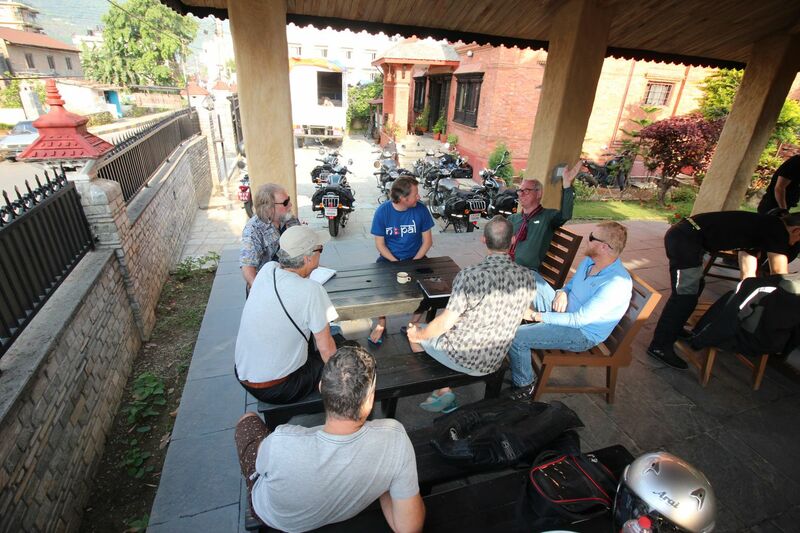 There is Zen and the art of motorcycling Kathmandu.